The University of Oregon recently received a $15,000 grant to give a teacher at North Bend High School the opportunity to engage in research with a mentor at the UO. The grant was provided by the Partners in Science program of the M.J. Murdock Charitable Trust. 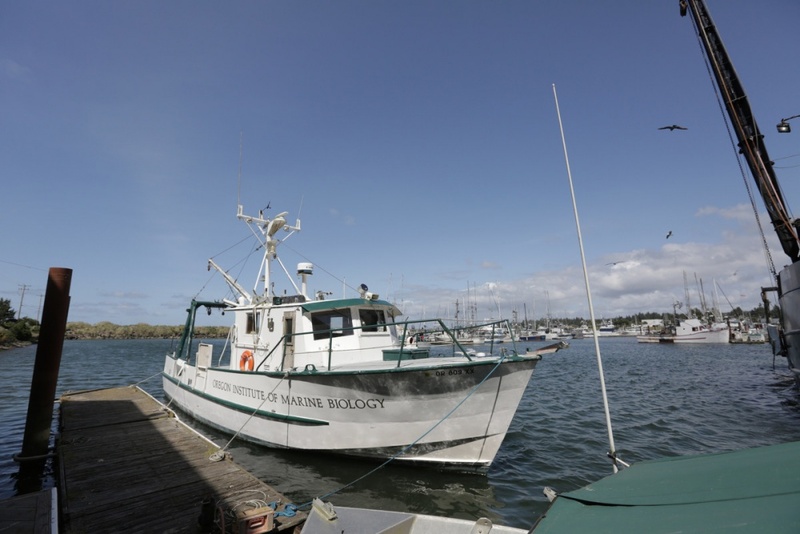 It was awarded to Julie Schram, a postdoctoral researcher in marine biology at the UO, and Erica Street, a teacher at North Bend, to research the effects of ocean acidification on the behavior and nutritional value of newly recruited coastal Dungeness crab. This year marks the 28th year of M.J. Murdock Charitable Trust’s participation in Partners in Science, and more than 500 teachers in the trust’s five-state funding region have been awarded a grant. As a part of the program, the trust hosts an annual national conference where teachers present their research results, hear presentations from renowned researchers, and network with other teachers and researchers from across the United States. For more information on the Partners in Science program or how to apply for grants, go to murdocktrust.org.